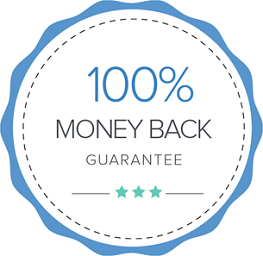 "100% money back guarantee" are not just selling or marketing words for us. We mean it! because our primary goal is 200% customer satisfaction. MYCPR is a growing company in CPR training and certification space with lot of satisfied customers. If you find any gap in your training or certification program. We offer 100% money back guarantee to match your expectation and satisfaction level. NO HIDDEN FEES! We understand that your employer can choose to accept or deny a training certificate, so CPR Select offers a 30-days money back guarantee. In the rare case that your CPR training certificate is not accepted by your employer, or does not comply with your requirements, we will issue you a 100% refund. Additionally, since the primary reason for rejecting a CPR certificate is an employer's lack of familiarity with our quality, online training program, CPR Select will advocate on your behalf so that you, and your coworkers, can use CPR Select for all your Healthcare Provider Certification training needs in the future. -19px- Lorie S. San Diego, CA.